Come join us for our 2019 Love & Latte Ladies Conference. This is a great time of spiritual refreshing and renewal for ladies of all ages. 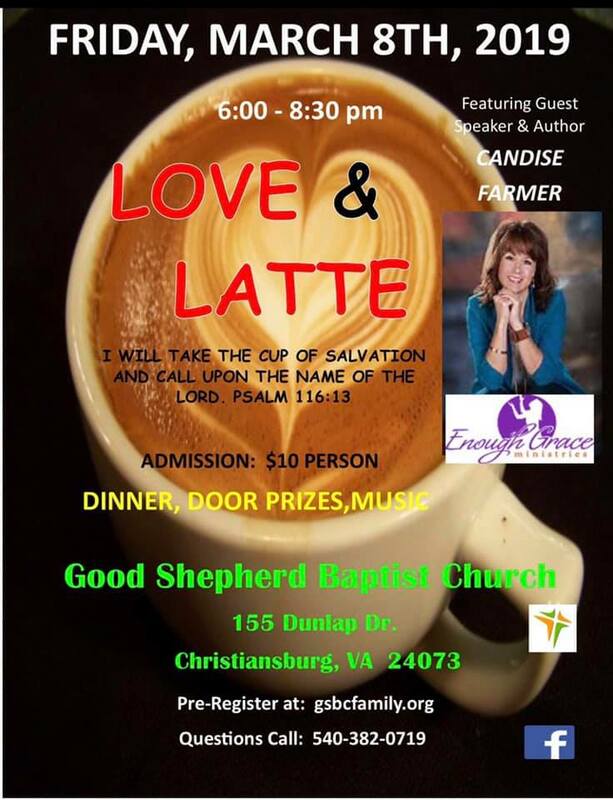 Nationally known author and speaker, Candise Farmer will be our guest speaker. You will laugh, you will cry, but at the end you will be glad you came. We will have a dinner for the ladies prepared by our men's ministry; who will be eager to serve the ladies. So, you just come and be blessed and be ready for a night for God to bring His love into your life.